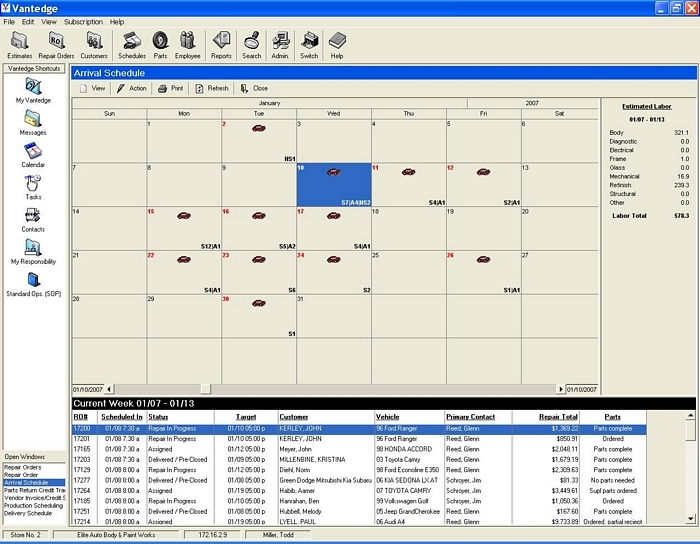 Vantedge Body Shop Management Software provides you with all the tools needed to work smarter. Below are pictures of just a few of the tools you can use to create estimates, track your customers, their vehicles, their insurance companies, the repair status, the parts status, your accounts receivable status, and much more. 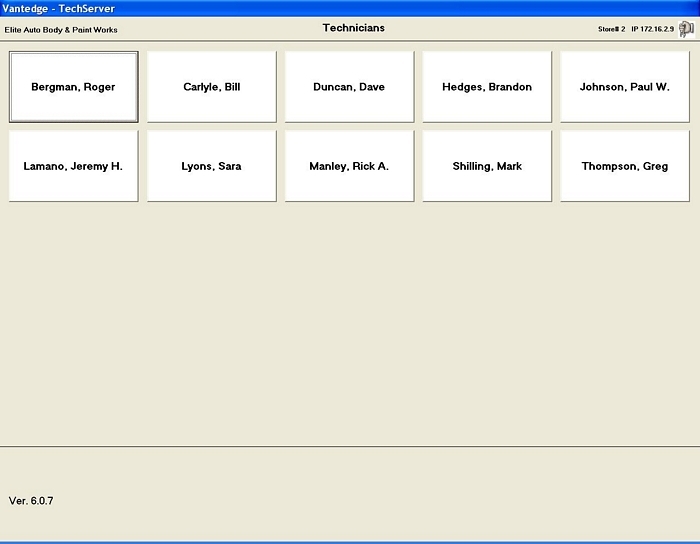 More detailed images are available by selecting the medium and high resolution links for each screen. The Repair Order screen is the main information page regarding work that is either in progress or previously completed. From here all information, from vehicle photos to technician flagging records can be accessed with a simple mouse click. 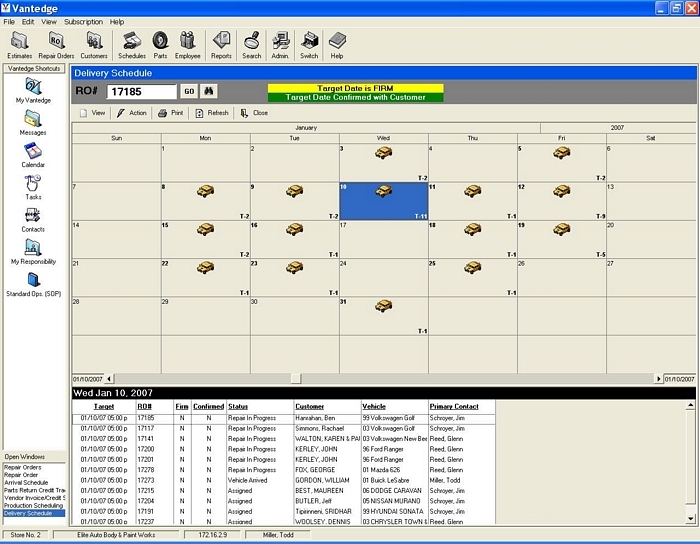 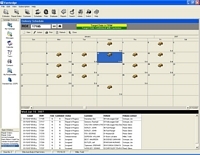 The Technician screen provides touchscreen technology for time clock purposes, work in progress (WIP) flagging, time card reviews, paycheck banking and many other useful features. 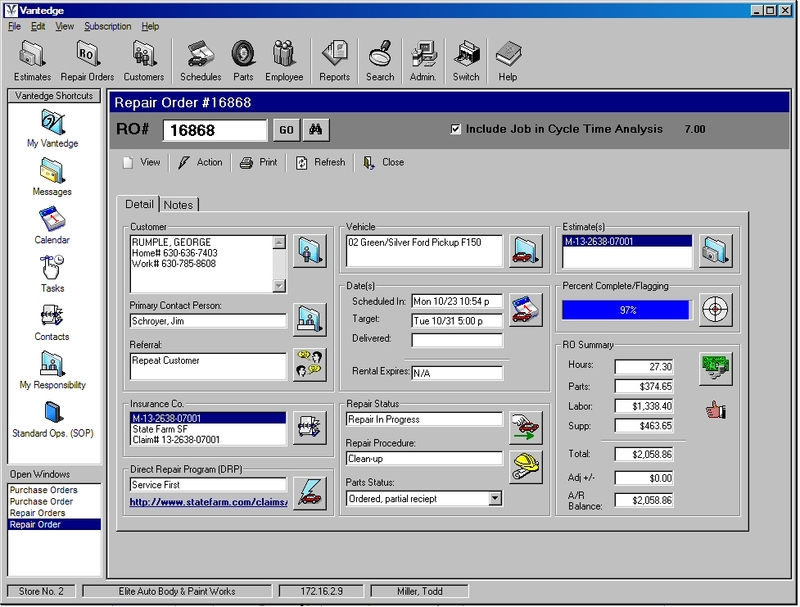 This product has been fine tuned with technician input from several body shops over several years. The Parts Queue takes parts entered from the estimate and posts them here by repair order for ordering. 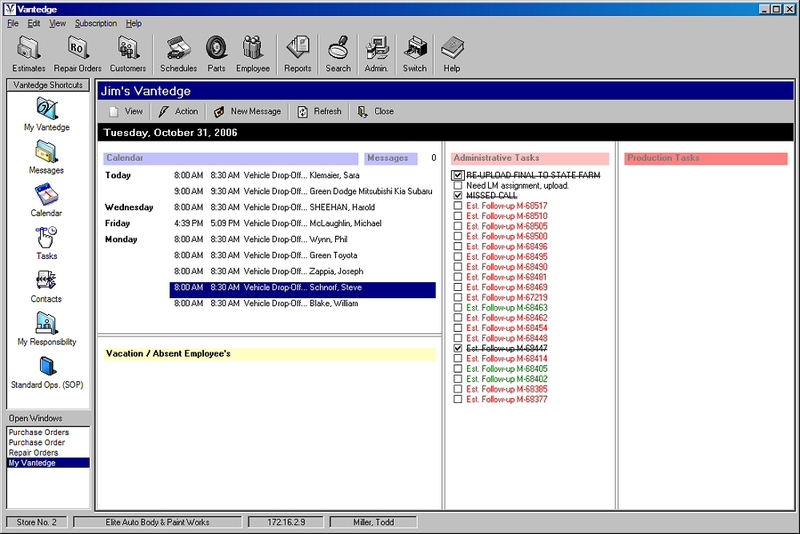 My Vantedge essentially provides an employee home page within your management system with a tasking monitor tied in with Vantedge. 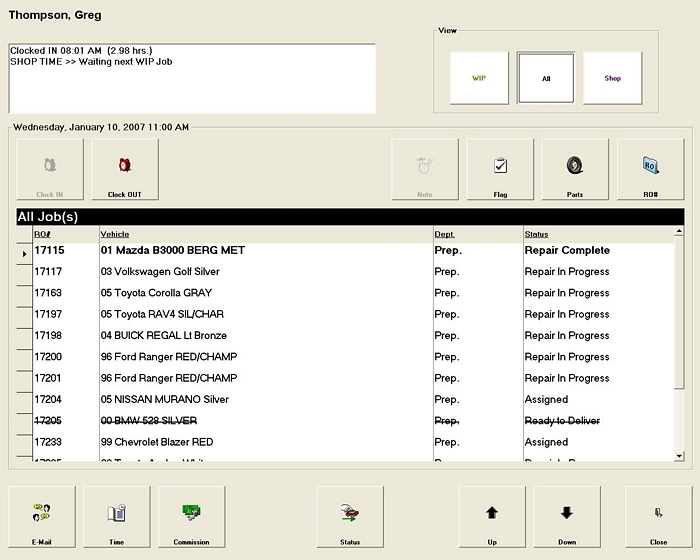 The Arrival Scheduler enables you to see the vehicles due to arrive for repairs in both a listing by repair order and on a calendar, by a scheduled in date. The Delivery Scheduler enables you to see the vehicles target dates for completion in both a list and on a calendar, by targeted delivery date. 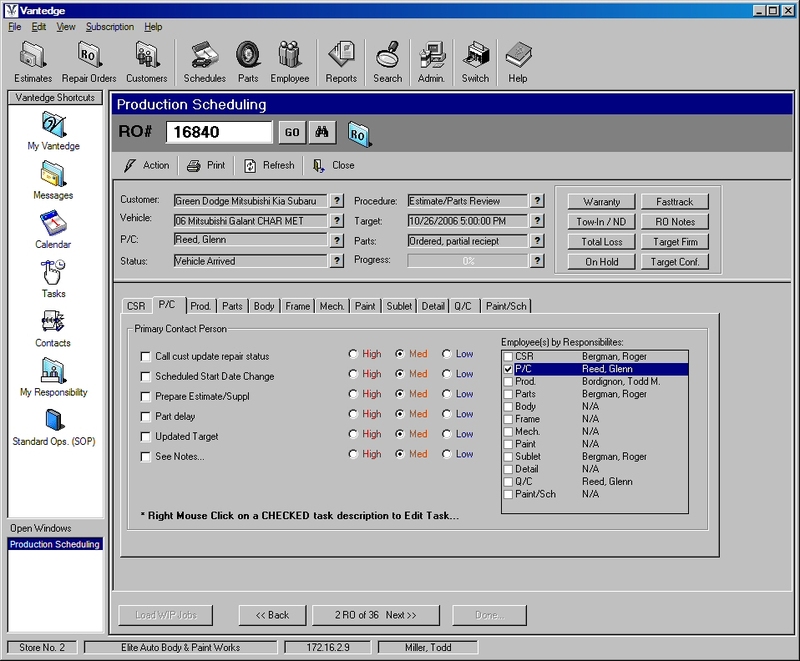 This screen shows the main view for assigning tasks (reminders) throughout the production process. Each tab in this view has a customizable set of check off tasks that can be set and easily changed as best fits your production management. 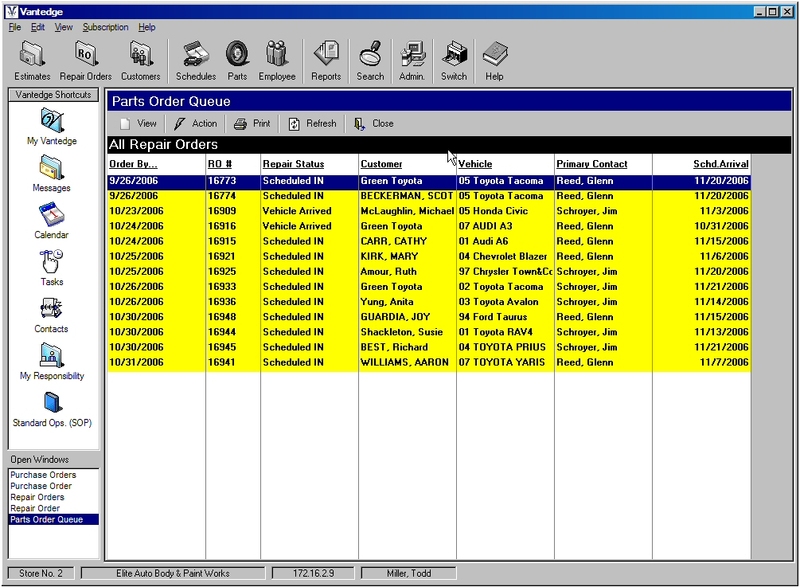 In this list, we see those items important to the individual assigned as the primary contact for this repair order. 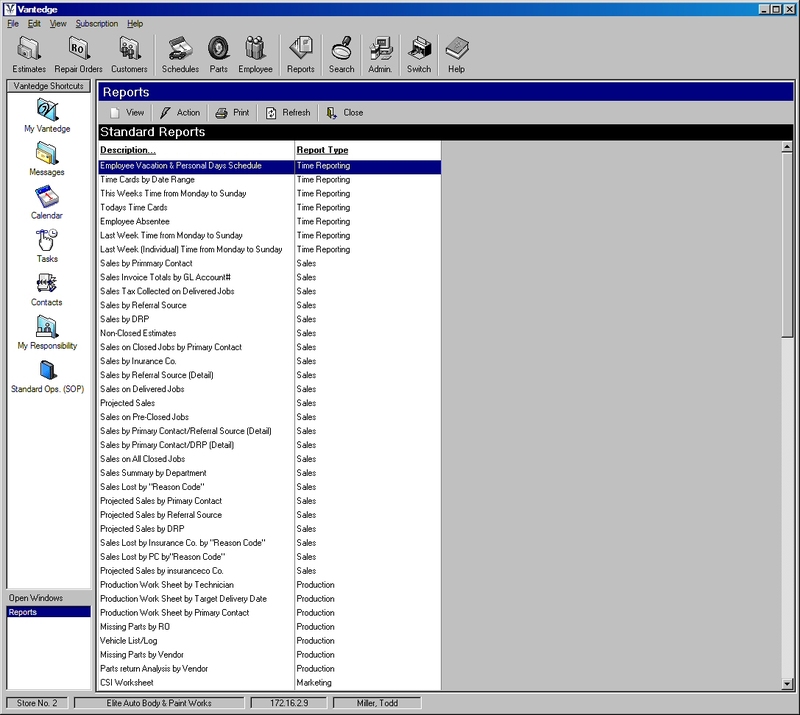 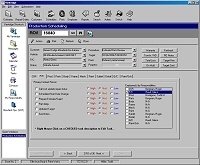 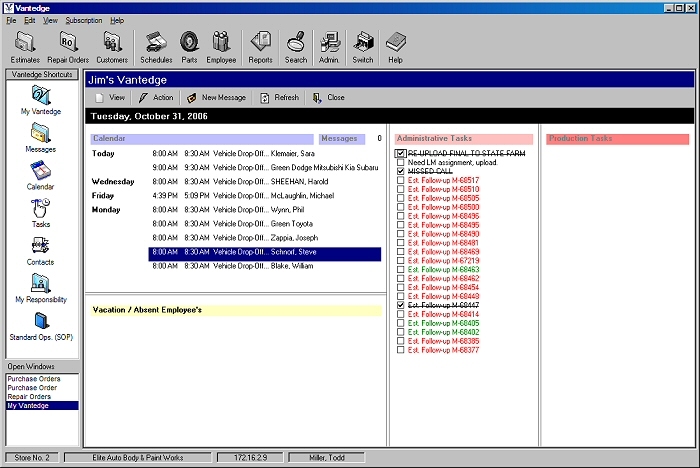 This shows a portion of the standard reports provided in Vantedge. 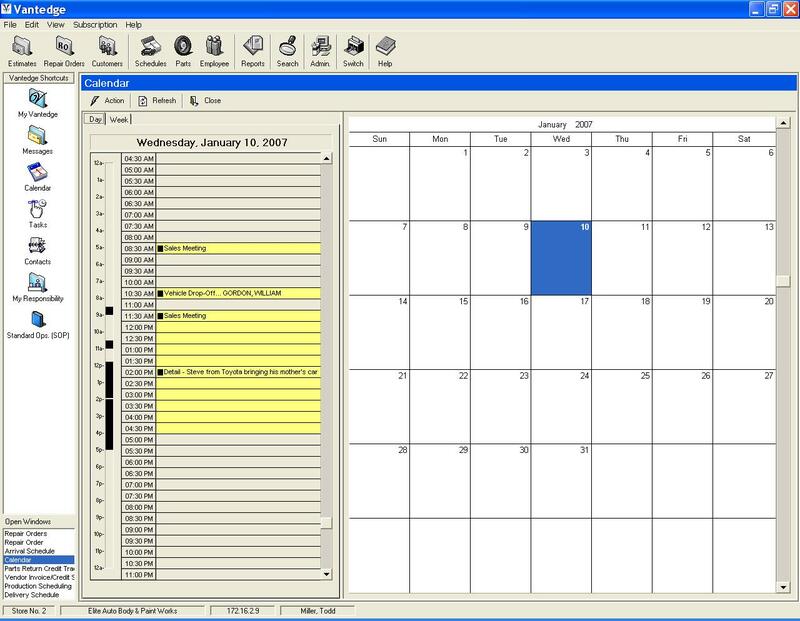 This window has the basic calendar for scheduling meetings or events throughout the day, week, month or year. 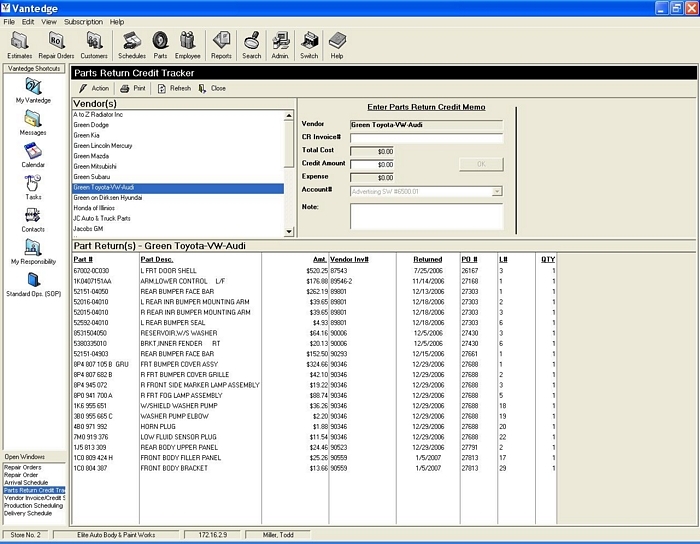 The credit recorder tracks Invoices and Credit Memos by Vendor and by Date Range. This has proven to be a very useful tool.